INTEGREX i-150 advanced Multi-Tasking machine delivers maximum versatility, high precision and throughput for smaller complex parts. 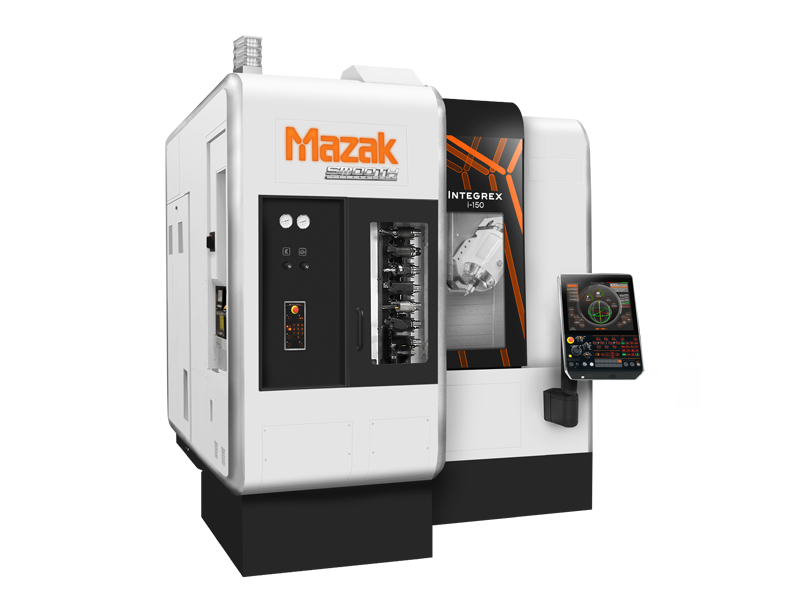 The machine combines the capabilities of a high-powered turning center and full-function machining center to produce parts in single setups. A programmable, workpiece handling device allows milling operations to the back face. This machine configuration works to minimize fixtures, tools, handling and non-cut time.